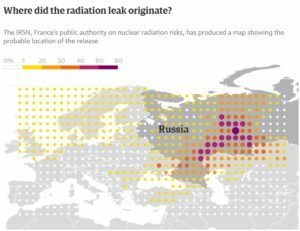 Greenpeace has called for an investigation into a potential cover-up of a nuclear accident after Russia’s nuclear agency had denied European reports of increased ruthenium-106 levels. Rosgidromet, the weather monitoring service, released test data on Monday that showed levels were indeed much higher than normal. The most potent site was Argayash in the south Urals, where levels were 986 times the norm. Argayash is about 20 miles from Mayak, a facility that reprocesses spent nuclear fuel. The plant facility issued a denial on Tuesday. “The contamination of the atmosphere with ruthenium-106 isotope registered by Rosgidromet is not linked to the activity of Mayak,” a statement said. 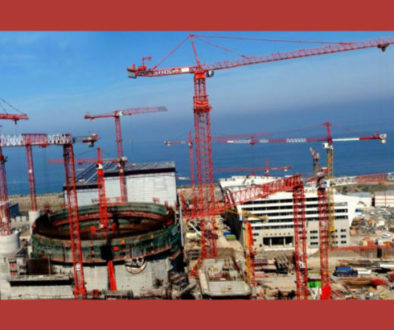 A report this month from France’s Institute for Radioprotection and Nuclear Safety (IRSN) said ruthenium-106 had been detected in France between 27 September and 13 October. Greenpeace Russia called on Rosatom to open “an in-depth inquiry and publish the results about the incidents at Mayak”, and the group also said it would ask prosecutors to look into the potential concealment of a nuclear incident. Later on Tuesday, Rosatom released a statement saying the scare had been down to a “misreading” of the data. “Rosatom categorically confirms there have been no unreported accidents or reportable events on any of its nuclear sites. It also confirms that the recent Ru-106 emission which is being reported is not linked to any Rosatom site,” the nuclear agency said. Rosatom said the high readings in Argayash were still lower than those taken elsewhere in Europe, such as in Bucharest, suggesting the emission did not take place on Russian territory. Ilya Yarmoshenko, a scientist, told a Russian news agency that the high levels of ruthenium-106 were harmless, and levels 10 times higher of other radioactive substances could be found inside normal homes. He said there was no need to evacuate any of the residents of the affected areas but added that the most important thing now was to identify the source of the radiation. Prof Paddy Regan, a nuclear expert at the University of Surrey, said: “When they say this was 900 times the background level it’s a surprising number, but the background level is basically zero. I don’t think there’s any radiological danger from it. 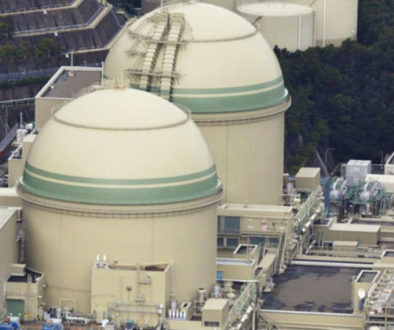 Hyatt said it was unusual that other radioisotopes had not been detected as normally waste fuel would contain a mix of different nuclear materials. 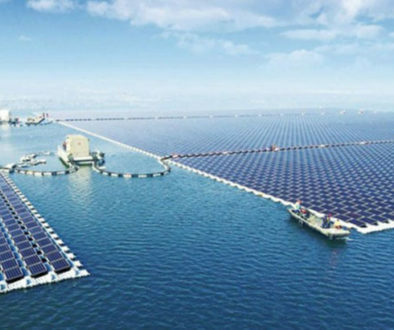 One possibility is that the fuel was being processed and concentrated for use in nuclear batteries, which are used in satellites. “If the plant that’s making those has sprung a leak it might explain why they’ve detected that and nothing else,” he said. Evgeny Savchenko, the top health and safety official in Chelyabinsk region, where the Mayak facility is located, dismissed health fears as “hysteria” and said the fact that the information came from abroad was suspicious, noting that France also has a nuclear fuel processing site “that competes with our Mayak”. Savchenko said there was absolutely no reason for the population to fear health effects. “Note that officials and their families don’t have injections against radiation … so you’d have to be a total fool to hide dangerous information and not take steps to save people,” he said. In 1957 Mayak was the site of one of the worst nuclear disasters in history, which at the time was covered up by the Soviet regime. This year shipments of spent nuclear submarine fuel that had been left at an Arctic naval base since the Soviet period began to be shipped to Mayak, where it will be reprocessed and repurposed for use in civilian nuclear reactors. Much of the plant’s operations remain shrouded in secrecy.